Makes 30 (or more) appetizers. I thought this would make an even thirty but it probably could make 60 easy. Low-cost high impact and they taste really good! They are easy fast and impressive what more could you want?? in a small bowl combine the crab, mayo, red pepper or pimento and shallot. 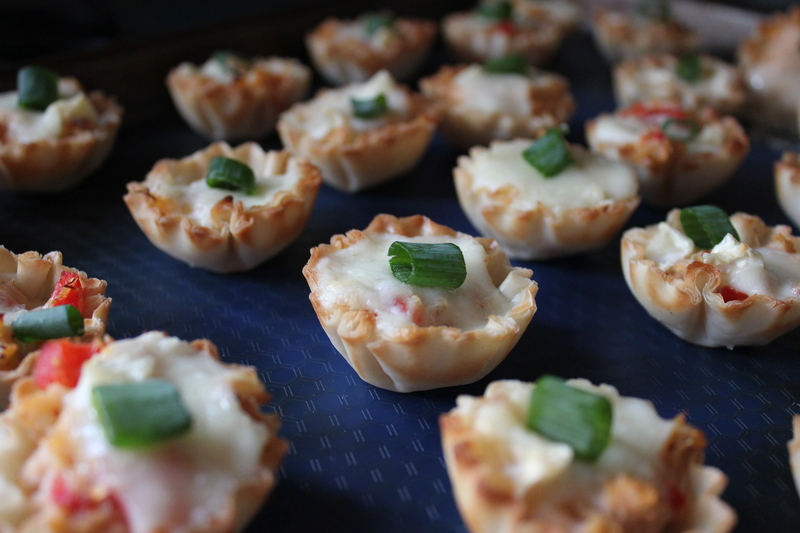 arrange the tartlets on a baking sheet and fill with the crab mixture, top with a piece of brie and bake for 5 minutes or until the brie is melted. top with a sliver of chive and serve. I will admit these have a great taste while hot/warm.. don’t let them cool off to much they get a different texture when cooled not so creamy and mixed. All in all a great start to a meal! They are so cute! The recipe sounds so delicious. Thank you it was very tasty! Not to mention easy!